Chemplast Sanmar provides 35 lakh litres of drinking water every day to villages around Mettur. The water has improved the lives of 12,000 families. In addition to the pipeline, Chemplast has built water tanks in partnership with the Government of Tamil Nadu in the 'Namakku Naame' scheme. The Group has adopted the governing principle of not drawing any ground water in order to maintain the water table for the general community. Instead, the company uses desalinated seawater in its coastal plants, although the aquifer runs very close to the surface. This is part of the company's environmentally conscious water-management strategy. 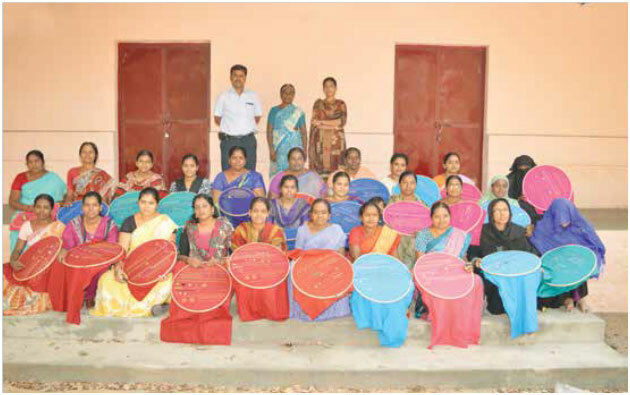 In addition to conducting training classes for women in tailoring over the last couple of years, Chemplast Mettur has been offering specialised 30-day training programmes in Ari, Zardosi and Hand Embroidery at Thangamapuripattinam and Kozhipannai centres. The training is conducted by a professional trainer from Salem. Chemplast Mettur organised a free training programme in tailoring for the rural women of Thangamapuripattinam, Mettur Dam, on 24 February 2013. Planning the right career is challenging, more so for students residing in rural areas. 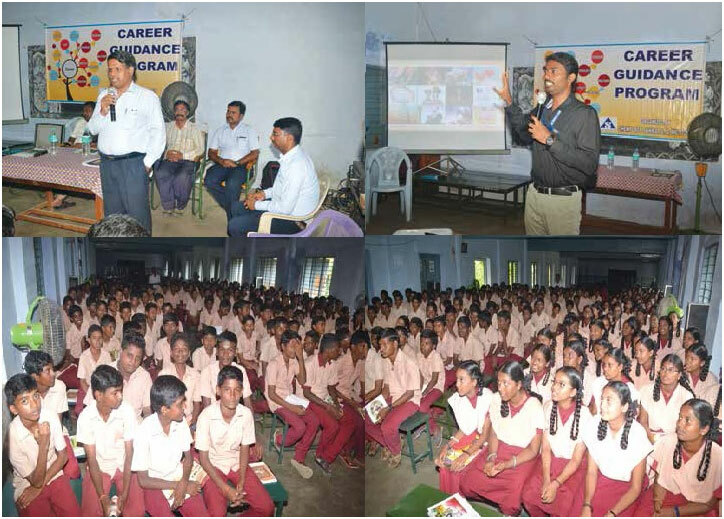 Chemplast Mettur organised a career guidance programme for the students of class X and XII of Vaidheeswara Higher Secondary School and the Government High School Gonur and Kunchandiyur. Team of three from Don Bosco Vazhikatti a professional career guidance institute from Chennai, were engaged in counseling. 154 students from Standard XII and 391 from Standard X attended the programme. The topics covered motivation, memory techniques, multiple intelligence tests and focus group discussions. Career decision making and study techniques were addressed. Students were given information on different job oriented courses available, choosing the right institutions to study and employment opportunities in industries among other topics. A training programme in Basic English and Grammar was conducted by Chemplast Mettur for students from rural backgrounds in Standard IX of Vaidheeswara Higher Secondary School. These students appeared for the SSLC public examination and have scored remarkably well in English – the lowest mark scored in the subject was 53 and highest 93, with an average of 74.6%. 16 students scored more than 80%. Out of the total 42 students who underwent training, 25 were from Tamil medium schools. In all, 29 students scored more than 400 marks out of 500. Chemplast's programme has not only helped the students to perform better in the exams but also given them the courage to speak in English in public as well. Chemplast Sanmar runs two schools at Mettur - Vaidheeswara Higher Secondary School, Vaidheeswara Primary School and Vaidheeswara Vidya Mandhir Matriculation Higher Secondary School. These schools are enabled with qualified teachers, well-equipped labs and libraries. Chemplast Sanmar every year conducts free medical camps for the villages located around Mettur. These medical camps provide free medical care and medicines to the rural populace around Mettur. Medical professionals, who are specialists in various disciplines, such as Neurology, Cardiology, Diabetes, Gynaecology and Paediatrics attend on the patients. Diagnostic tests such as blood sugar, ECG, ultrasound and scans are conducted free of cost. The Centres are located at Veeranur, Thangamapuripattinam, Panangadu and Mottur. Chemplast Sanmar enlists the services of experienced doctors who have a passion for Community Service. An awareness programme on eye infections and related injuries was organised by Chemplast Mettur on 27 December 2012 with Dr Arul Mozhi Varman from Agarwal Eye Hospital, Salem, lecturing on eye infections. A medical camp on asthma, allergy and respiratory diseases was conducted on 16 December 2012. Respiratory Physician Dr Krishnaveni spoke on asthma allergic related complications and preventive measures. A pulse polio programme was conducted at Mettur on 20 January 2013. About eight hundred people benefited from a free medical camp organised by Chemplast at Mettur. Doctors from Chemplast, Dr D Valaiparameswaran and Dr S Saravanan oversaw the camp that was conducted in coordination with Gokulam Hospitals, Salem, on 10 February 2013. A health camp was organised by Chemplast Mettur in coordination with Sri Gokulam Hospitals on 2 March 2014. Seven hundred and three persons underwent cardiac and diabetes tests and general screening at the camp. Dr Anish Sekar IAS, Sub Collector, Mettur, was present. Blood sugar, ECG and ECHO tests were also carried out. Free medicines were distributed. One hundred employees of Chemplast Sanmar Mettur volunteered to donate blood to mark the birth anniversary of Mahatma Gandhi on 2 October this year.